A.W. 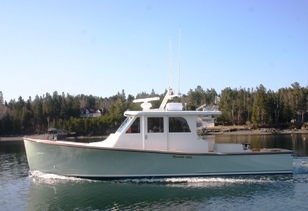 PETTEGROW, INC. is located in the quiet Maine seacoast town of Southwest Harbor, where boats and the sea are a way of life. Pettegrow boats have developed a reputation for being carefully built, strong, seaworthy craft that are beautiful to behold.